The Sudbury Revolver Club is an 8 range facility, located on Maki Rd. in Garson Ontario. We are dedicated to providing a safe, professional environment for both new and seasoned shooters. Although we are primarily a handgun club, shotguns and rifles are allowed on some ranges. Heated indoor range without extra cost or restrictions. No manditory work hours or extra fees. Our heated indoor range can be accessed year round, and makes shooting in any weather quite enjoyable. Joining us is easier than you think, drop us an email to get started. Never enter onto club property without prior authorization. Spring is here. The road will be getting some attention soon. The water will be turned on shortly. The lock is back on the gate. ODPL training will happen june 2nd. 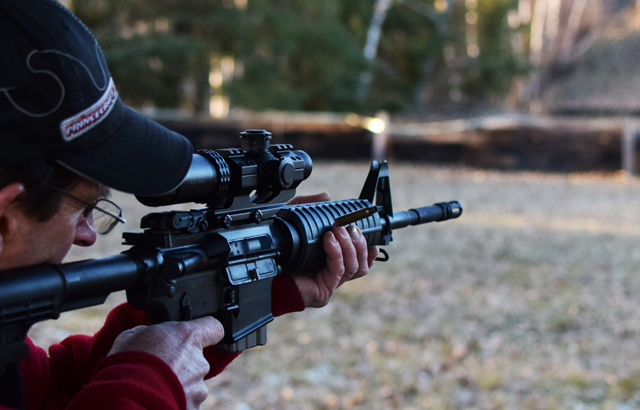 Center-fire Rifles have returned to the Sudbury Revolver Club after a 30 year absence. If you are an existing member, and wish to receive the rifle orientation, please make arrangements with the executive. If you have not paid your 2018 dues, please make arrangement to do so.